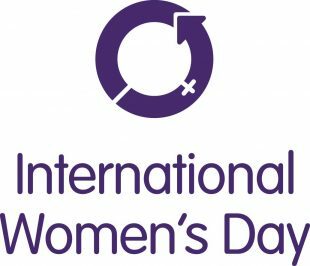 To mark International Women’s Day, I have been chatting to female colleagues about working at the Intellectual Property Office (IPO) and their respective roles. This week I spoke to Toni Williams who is a Trade Mark Examiner. I’ve worked for the IPO in Newport, South Wales since 1989 (nearly 30 years!) with two secondments at the EUIPO in Spain during this time. I joined the Civil Service in 1975, working for the Business Statistics Office, now known as the Office for National Statistics. From 1982 until 1989, I worked for the Patent Office in Kent and then in Westminster for the Department of Trade and Industry. I then joined the IPO and have been there ever since. My role involves the day-to-day examination of trade mark applications under Section 3 of the 1994 Trade Mark Act. This can involve classification (how the different goods and services are grouped together), searching for earlier similar trade marks, deciding if the mark is distinctive and corresponding with applicants and attorneys. I am also part of the Continuous Improvement (CI) Network, which looks to continually improve the way in which we work. I had previously been part of the Quality Management Team at the EUIPO and had helped train staff on the importance of CI. In the early 90’s, I had been working in the IT department and decided to take a career break after having my daughter. Whilst on the career break, I had to come into the office for training. A colleague (who was working as an examiner) told me that an EU office was opening in Spain and they would soon need examiners. It had been a lifelong ambition of mine to live and work in Spain, so I requested to return to the office as an examiner and eventually applied for a secondment. The rest is history. I believe that customer care is paramount, so for me it’s helping our customers when they phone about their trade mark applications. It gives me a sense of achievement if I can find a way to help them overcome any objections to their application or deal with their classification queries. If objections cannot be overcome, I try my best to explain the reasons why. The process can be difficult to grasp so I find it rewarding when the applicants are able to understand. Believe it or not, I wanted to be a singer-songwriter and have my own band! I partly achieved it. I sang with a few bands over the years and I also sang with a chap called Nigel Rees who is sadly no-longer with us. Nigel worked for the Statistics Office in the early days and we did many gigs together. The last band I sang with was Big Mac’s Wholly Soul Band in the late 90’s. What advice would you give to those considering trade mark examination as a career? You need to be interested in the law, research and customer care. You also need to be comfortable using different computer applications in order to do your work. You may be working for long periods of time at a PC so if you prefer a more physically demanding role, then it may not be for you. However, it can be a very interesting and rewarding job and the IPO supplies and facilitates all of the training you need. You cannot train as a Trade Mark Examiner anywhere else in the UK. It was great to talk to Toni about her role and how she got into examining. 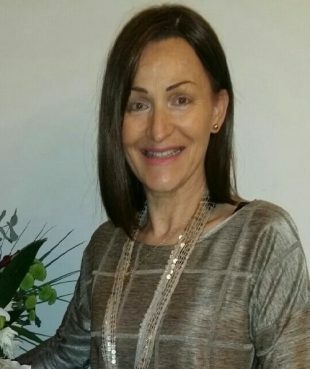 Toni’s case study will be included in our internal showcase of inspirational women at the IPO and beyond, to celebrate International Women’s Day and the #BalanceforBetter theme. Keep an eye out for more interviews with examiners from Designs and Patents over the coming weeks.